Well, WordPress being the open-source free CMS platform comes with a plenty of options for building full-fledged eCommerce sites. There are a number of powerful WooCommerce themes that come with almost everything you may need in an online shop/ eCommerce site. However, sometimes you may like to add some extra features or some tiny design tweaks, WordPress plugins come handy. Besides, you can add eCommerce features like ‘shopping cart’ in the multipurpose themes and create online shopping sites. Next section is about why would you need a shopping cart plugin. Please, read on. Why should we use a WordPress Shopping Cart plugin? If you sell multiple products on a single website, a Shopping Cart is an extremely important item to use. These allow your users to go through collective preview and buy products and browse various choices. In the end, they can easily choose what to buy and what not to and pay for them together. Its one of those services that are considered compulsory for an online market. Furthermore, a few additional features such as cart history saving, cart-based advertisements and searching, support for various payment services, are always appreciated. WordPress is by itself a great platform to build your e-commerce website. Furthermore, the addition of community-driven add-ons and plugins can be used to add all kinds of features to your website. WooCommerce stands taller than most when it comes to powering eCommerce websites, and it comes with WordPress shopping cart features and further add-ons. However, external stand-alone plugins can provide additional features that are highly welcome by a lot of business owners. These services include button customization, automation services, third-party payment gateway support and more. It’s an obvious idea to implement a shopping cart that is easy to use. This includes adding, deleting and switching items as well as the ability to pay for them individually and collectively. Your customers should be provided with trustable gateways to pay for their choices. Paypal, Stripe and other such gateway systems must be fully supported, and it’s not a bad idea to consider alternative paying options as well. You want your shopping mart addon to fit well with your website. Its outlook, display as well as its theme should fit right with your websites’. Further customizations should be used to make sure it fits your website’s design and works without interfering with any other functions of your website. WP EasyCart is extremely easy free to use WordPress shopping cart plugin. The plugin allows the user to easily create three different pages for their shopping purposes; Store, Cart, and account. This allows you to easily create your shop portal with user interaction. Multi-currency features, order management, shipping, and taxes pricing, EasyCart provides all these useful additions to your online shop. Globalize your marketplace using a detailed table rate shipping that considers price, quantity, weight and more as well as varying taxes in different countries. Furthermore, EasyCart allows you to easily manage your orders, print and manage receipts and packing slips, inform customers about their purchases through email and view order information through a single platform. The plugin is SEO ready as well and comes with SEO editing for your product details, menus, catalogs as well as social media integration to improve the marketing factor of your e-commerce website. The professional version of EasyCart adds more addition to its functionality and adds other services such as order editing, additional payment processors, additional shipping integration and more. Easy to use and manage the online shop. Rather than a standalone plugin, Cart66 provides a collection of services to solve your marketing problems. The plugin streamlines the entire process of setting up your shopping cart and payment solutions. The secured and connected number of services Cart66 sets up an easy to use platform for the selling of your goods on your online marketplace. This includes setting up a secure system for sending email receipts and notifications as well as securing your digital products. This includes setting up payment services for digital products such as Audio files, pdf, ebooks, and more. Cart66 also sets up secured PCI compliant connections for your payment services and gateways and provides a built-in recurring billing engine as well. You can also set up account and membership services in your marketplace. Setting up catalogs, image galleries, featured products and inventory management has never been made easier. The plugin also allows you to efficiently manage orders, set up subscriptions and payment plans, automated sales marketing, social media integration and more. Support for sales of digital products. Easy to set up PCI complaint connections, SSL certificates, and more security features. Subscription features, donations, recurring billing services can be easily set up. Customer account management along with credit card storing, order history, address book and more. PayPal shopping cart is an easy to use PayPal exclusive shopping cart plugin. The plugin allows you to add an Add to cart and View cart button anywhere on your website. The plugin only uses PayPal as its payment option, and all the user data is hosted on PayPal’s server itself. This reduces the hassle of setting up PCI compliances, SSL certificates and more. The plugin is extremely easy to setup and use. The simple button inserter allows you to set up an effective cart button with item name, prices, descriptions and more. The PayPal shopping cart also allows you to set up a sandbox PayPal account to test your payments and sale of products so you can test your website before it goes live. Choice of Paypal buttons, payment window interaction, and more. Easy to place and manage to Add to Cart button and Checkout buttons. eCommerce WD is a shopping cart plugin that prioritizes user experience and ease of management for the admin. The plugin allows you to set up a service for advanced filtering, sorting and searching feature for your users so they can easily search for possible products and add to their cart easily. You can also set up shipping methods and tax types as well as apply them to products collectively or individually and even highlight products using small image values. The plugin by default also supports PayPal as well without online payment services such as NFC. Payment and order details can be automated for both buyers and admins as well as Email template can be changed anytime. The plugin also comes with integrated social media services with comments, reviews, and rating systems. 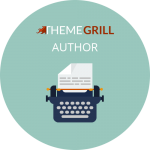 Plugin addons such as Filters, stripe integration, latest and best seller product add-ons. Similar to the plugin above, Simple PayPal Shopping cart is a PayPal exclusive shopping cart plugin. While there are multiple shopping cart plugins that rely on PayPal to work, we recommend this one as it provides many useful features such as shop management, dynamic Add to cart button as well as Photography sale features, all for free. The plugin hosts all the user data, transactions, credit card details and more on PayPal servers themselves, meaning less hassle to create SSL certificates and PCI compliance permissions. This shopping cart plugin allows you to easily insert a shopping cart button to add and display the items by simply using its corresponding shortcode on any page, post and even sidebars. Furthermore, you can setup the plugin to show the shopping cart button dynamically throughout your website. The cart plugin also allows you to sell digital products and on the instance, a product is sold, an email can be sent to the recipient regarding the transaction. Simple PayPal cart also allows you to setup and configure coupon discounts with expiry dates as well as track them. Furthermore, you can also create a custom checkout page using this plugin. Free to use and easy to manage and setup. 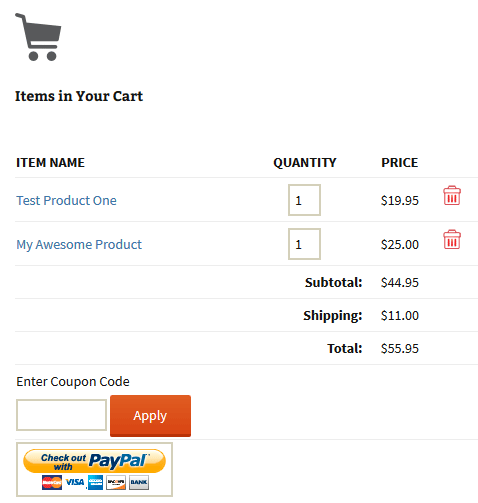 Individually add shopping cart button to each item, post, and page. Detailed tutorials for explaining the plugin and its features as well as a detailed documentation. Email notification system for both administrators as well as buyers. Customize Add to cart button as well as the checkout page easily. All these individually plugins are fully functional and can easily enable your online market. 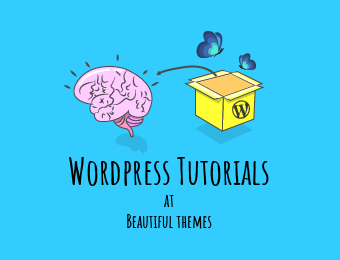 While some of them require permissions and certificates related to online transactions, these can be managed easily by checking their plugin details on the WordPress.org website.